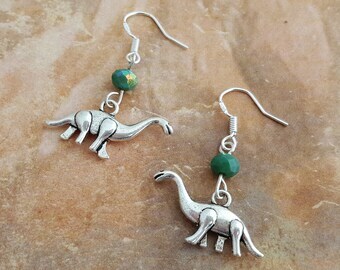 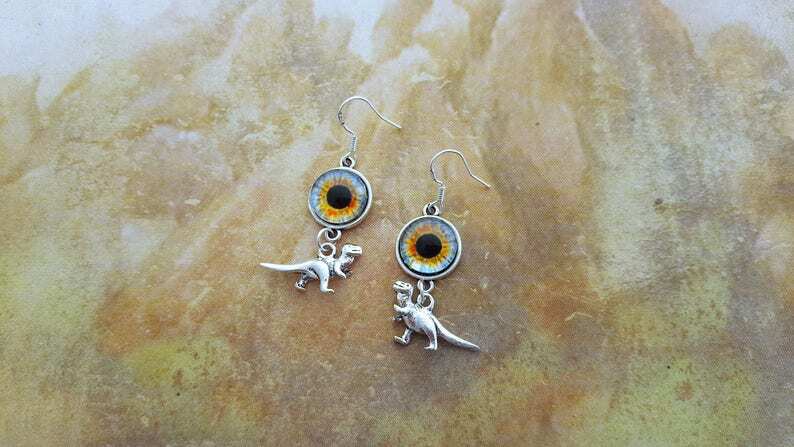 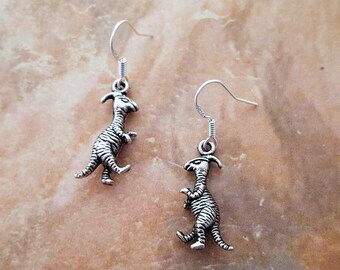 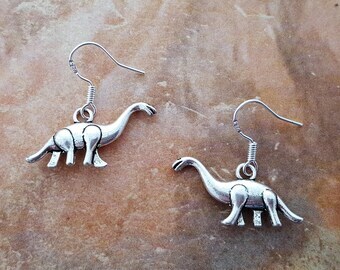 An awesome pair of dinosaur eye earrings! 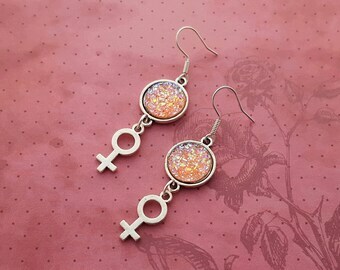 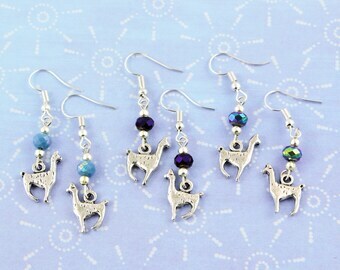 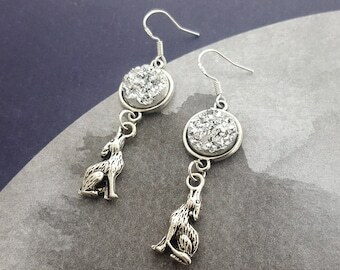 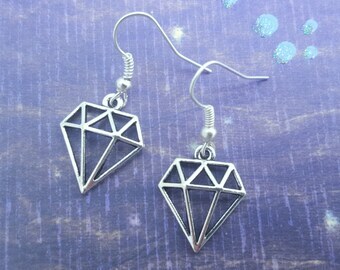 These are eye catching earrings and bound to draw attention! 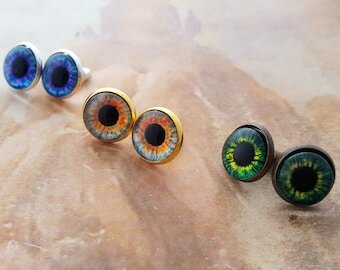 Choose from 3 different colours! 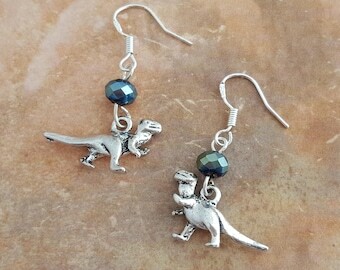 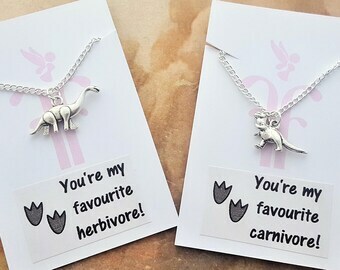 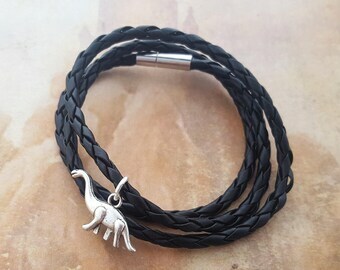 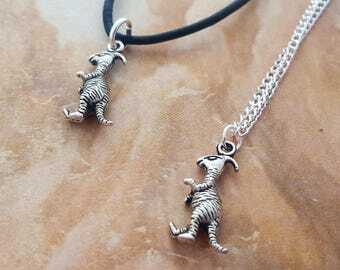 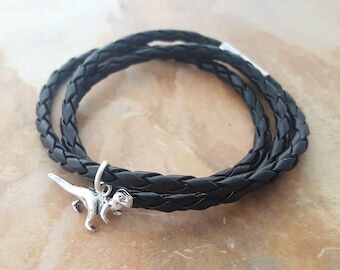 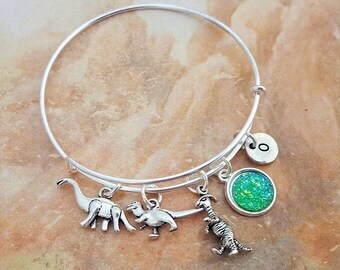 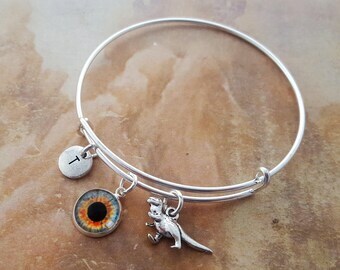 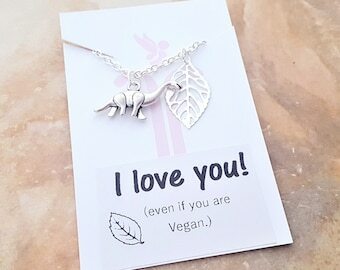 Little Dinosaur Charm: 20x12, double sided, Tibetan silver, lead and nickel free.